Our firm takes pride in pursing cases for individuals where there has been a great injustice. There are some cases, however, when we represent a client at no charge. Those cases are bigger than just one individual. They involve legal issues affecting many people. We do this with the hope of making our world a better and safer place for everyone. Additionally, we have made financial contributions to the below non-profit organizations, as well as others. It’s part of our mission of giving back to the community. John Doe vs. John Doe: A man driving his pickup truck erratically and recklessly early in the morning crosses a median line into incoming traffic and drives over the sidewalk south of a bus. A man waiting for the bus was ran over, suffered catastrophic injuries, and died at the scene of the crash. It was later found that the driver of the truck admitted to the use of methamphetamine and falling asleep at the wheel prior to the accident. Knapp & Roberts is volunteering their time and money to represent the surviving parents of the man hit and killed in the accident. John Doe vs. Higley Unified School District: An elementary student with Autism Spectrum Disorder and Attention Deficit Hyperactivity Disorder attends a two-night school trip to participate in a science camp. The student was tied to a bed with ribbon on the first night, while the instance was recorded on the chaperone’s phone. The student was humiliated and began to cry while others watched and laughed. The next night, the kids at the camp hit the student, even hitting the student in the gut while in bed. Knapp & Roberts is now representing the parents of this student and has filed a notice of claim with the school district. Knapp & Roberts is volunteering their time and money, with no fees incurred to the client. Hilda Garcia vs. George T. Adcock and Jane Doe Adcock, husband and wife; ABC Corporations I-V: George Adcock was driving his large pickup truck in a rural area north of a small town in Cochise County when he failed to stop at an intersection as directed by the stop sign. Adcock rammed Salvador Garcia’s much smaller pickup truck on the front passenger door, causing it to flip over a number of times and land on its roof. During the rollover, Salvador was ejected from his truck and suffered massive head trauma. He was pronounced dead at the scene. Adcock suffered injuries to the left side of his upper torso and minor head injuries. It was later found that Adcock was intoxicated and impaired by alcohol. He plead guilty to a criminal offense relating to his drinking of alcohol and driving, and of causing Garcia’s death. Knapp & Roberts represented Salvador’s wife, Hilda Garcia, providing free legal services and paid all case expenses. Hilda Garcia was awarded $1.6 million for damages arising from the wrongful death of a loved one. Jane and John Doe vs. Daycare Center: Jane and John Doe’s son was born on October 2, 2009. He died on October 25, 2010, shortly after his first birthday. He was a miracle to his mother and father. His mother had a spinal cord injury and it was questioned by her doctors whether she would ever be able to have a child. She took her son everywhere she went; he was her life. In the morning of Monday, October 25, 2010, Jane Doe took her son to an unlicensed in-home daycare facility that had been operating in a home for 13 years. Jane Doe had been dropping her son off at the daycare facility two times a week for two to three weeks. At 12:20 p.m. in the afternoon, the one-year-old was left alone in a playpen in a back bedroom. Twenty minutes later, he was found not breathing. No CPR efforts were undertaken at this time. The daycare called 911 and the operator instructed the daycare employees on how to conduct CPR and chest compressions. This was 4 and a half minutes into the call, and an indeterminate amount of time since Jane Doe’s son had stopped breathing. Emergency medical personnel arrived at the in-home daycare six minutes after the initial 911 call. The one-year-old was pronounced dead at a Children’s Hospital an hour later. Knapp & Roberts represented Jane and John Doe, providing free services. The case was successfully resolved for the parents. State of Arizona ex rel. Arizona Department of Economic Security (Brittany Monique Anderson) v. Ayiyi, Arizona Court of Appeals, Division One Case No. 1 CA-CV 14-0689 (Ariz. App. ): Opening brief filed January 26, 2015. Osaginwen Ayiyi reasonably believed he was not the biological father of his former girlfriend¹s child. Although Ayiyi asked for genetic testing to disprove paternity and offered to pay for the genetic testing, the trial court refused. The issue is whether there is a right to court-ordered genetic testing. The appeal is pending. Wynn v. Arizona Department of Economic Security, 233 Ariz.590, 315P.3d 1247 (App. Jan. 7, 2014): This appeal concerned whether a former employee who was forced to resign as part of a worker reduction at a large company was later entitled to unemployment benefits if the former employee received a termination package that was part severance pay and part settlement of any claims against the company. We persuaded the Arizona Court of Appeals to find that the former employee was entitled to receive unemployment benefits. Thiele v. City of Phoenix, No. 1 CA-CV 11-0769 (Ariz. App. April 6, 2013), motion for reconsideration denied (Aug. 27, 2013), petition for review denied, No. CV-12-0286-PR (Ariz. Jan. 7, 2014): The issue was whether a poor plaintiff in a civil case must file a special cost bond to cover the defendant¹s costs in case the defendant won the case. The Arizona Court of Appeals said yes. But the case was influential in persuading the Arizona Supreme Court to abolish the cost-bond rules in the next year. Read v. Keyfauver, 2013 WL 4734011, No. 1 CA-CV 12-0007 (Ariz. App. Mem. Dec. Aug. 27, 2013): The issue was whether a police officer injured because of the negligence of a motorist that the police officer was trying to help could sue the negligent motorist. The Arizona Court of Appeals upheld the firefighter’s rule, which states that a firefighter, police officer, or other professional public rescuer cannot sue a person who has negligently placed that public officer in danger that caused the public officer’s injury or death. Edna S. v. Arizona Department of Economic Security, No. 1 CA-JV 12-0042, 2012 WL 4561946 (Ariz. App. Mem. Dec. Oct. 2, 2012): The issue in this case was whether a grandmother lost the right to adopt her grandson when there was contested evidence that the grandmother had smoked marijuana one time. The Arizona Court of Appeals held that the right of adoption was lost. Below is a list of charitable organizations that Knapp & Roberts make financial contributions toward. American Diabetes Association: American Diabetes Association leads the fight against the deadly consequences of diabetes and fights for those affected. They fund research to prevent, cure and manage diabetes, deliver services to hundreds of communities, provide objective and credible information, give voice to those denied their rights because of diabetes, and more. André House of Hospitality: André House provides a wide range of services to those in need. Their services focus on meeting the immediate, basic needs of those who come through the door each day including a soup line, hospitality services, transitional houses, prayer, and receiving services. Arizona Foundation for Legal Services and Education: The State Bar of Arizona created the Arizona Foundation for Legal Services & Education as a separate 501(c) 3 organization in 1978, charging it with the mission of promoting access to justice for all Arizonans. Through donations, AFLSE is able to help many families and individuals not only overcome their crisis needs, but also work toward a brighter future for our state with education programs that assure our leaders of tomorrow will understand their rights and responsibilities as citizens of this state. Autism Society of Greater Phoenix: The Autism Society of Greater Phoenix provides information, resources, and support to families affected by autism and helps families who have just received the autism diagnosis by providing information on effective treatments. Cardinals Charities: Founded in 1990, Cardinals Charities supports programs designed to improve the quality of life and enhance opportunities for children, women, and minorities in the state of Arizona. Since its inception, they have distributed more than 6.9 million dollars to hundreds of worthy charitable organizations on behalf of the Arizona Cardinals and the National Football League. Catholic Charities: For more than 80 years in Arizona, Catholic Charities has been serving their community by reaching out to thousands of people, regardless of their race, ethnicity, economic status, or religious affiliation to: shelter the homeless and abused, protect and nurture children, strengthen and reunify families, welcome and assist refugees, aid those in crisis, and help the impoverished. Cystic Fibrosis Foundation: The mission of the Cystic Fibrosis Foundation is to cure cystic fibrosis and to provide all people with the disease the opportunity to lead full, productive lives by funding research and drug development, promoting individualized treatment, and ensuring access to high-quality, specialized care. Food for the Poor: Founded in 1982, Food For The Poor’s interdenominational Christian ministry serves the poorest of the poor in 17 countries throughout the Caribbean and Latin America. Their programs provide housing, healthcare, education, fresh water, emergency relief and micro-enterprise assistance in addition to feeding hundreds of thousands of people each day. Generation Rescue: Generation Rescue is the leading national organization that provides hope, information and immediate treatment assistance to families affected by autism spectrum disorders. 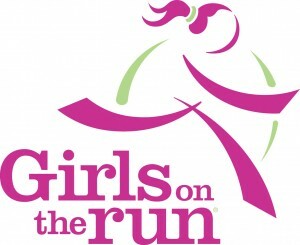 Girls on the Run: Girls on the Run is a non-profit positive youth development program serving Maricopa & Pinal Counties. Their mission is to inspire girls in 3rd – 8th grade to be joyful, healthy and confident. Using a fun, experience-based curriculum which creatively integrates running, the innovative program combines training for a 5k running event with interactive lessons that encourage positive emotional, social, mental and physical development. Habitat for Humanity: Habitat for Humanity’s vision is a world where everyone has a decent place to live. They bring people together to build homes, communities and hope for people in need, regardless of race or religion. The Leukemia & Lymphoma Society: Since 1949, LLS has been dedicated to curing leukemia, lymphoma and myeloma. The Leukemia & Lymphoma Society (LLS) is the world’s largest voluntary (nonprofit) health organization dedicated to funding blood cancer research and providing education and patient services. Neurofibromatosis Arizona: On a mission to find treatments and a cure for neurofibromatosis by promoting scientific research, improving clinical care, providing outreach through education and awareness, while offering hope and support to those affected by NF. Pat’s Run: A 4.2 mile Run/Walk to honor Pat Tillman winds through the streets of Tempe to Sun Devil Stadium, ending at the 42-yard line of Frank Kush Field, symbolic of the #42 jersey Pat wore as an ASU Sun Devil. The event raises scholarship funds for Tillman Scholars who, in Pat’s name, strive to make a significant impact for our country and communities. Salvation Army: Their Arizona Valley of the Sun programs continue to provide services to the homeless, working poor, children, youth, addicted, elderly, and abused. The Salvation Army offers programs and services to: Rescue families from homelessness, offer a safe haven from domestic abuse, freedom from alcohol, drug and gambling addictions, nourishment to the hungry and those in need, shelter and support to the homeless and broken, care, shelter and meaning for seniors, developmentally disabled adults and struggling families. Special Olympics: Their mission is to provide year-round sports training and athletic competition in a variety of Olympic-type sports for children and adults with intellectual disabilities, giving them continuing opportunities to develop physical fitness, demonstrate courage, experience joy and participate in a sharing of gifts, skills and friendship with their families, other Special Olympics athletes and the community. St. Jude Children’s Research Hospital: St. Jude is unlike any other pediatric treatment and research facility. Discoveries made here have completely changed how the world treats children with cancer and other catastrophic diseases. With research and patient care under one roof, St. Jude is where some of today’s most gifted researchers are able to do science more quickly. St. Louis Ovarian Cancer Awareness (SLOCA): St. Louis Ovarian Cancer Awareness is committed to impacting ovarian cancer survivorship by promoting awareness of early warning signs and standards of care, funding ovarian cancer research, and supporting survivors. St. Mary’s Food Bank Alliance: St. Mary’s Food Bank Alliance alleviates hunger by gathering and distributing food in Phoenix, Flagstaff and other Arizona locations. Donations go toward feeding the more than 857,000 Arizonans living in poverty. St. Vincent de Paul: SVdP has been serving the community throughout central and northern Arizona since 1946. Programs include: services for the homeless, medical and dental care for the working poor, charity dining rooms that serve thousands each day, food boxes for hungry families, thrift stores throughout the region, a bridge housing shelter, and general assistance for individuals in need. Sun Angel Foundation: For more than 50 years, the Sun Angel Foundation has been providing much needed resources to Arizona State University and its student-athletes. Since 1947, Sun Angels have contributed over $70 million in private funding to ASU Athletics. Annual contributions from Sun Angel members are the lifeblood of ASU Athletics. Contributions from more than 7,000 members support all of the university’s 22 teams and over 500 student-athletes. Susan G. Komen®: A foundation whose mission is to save lives and end breast cancer forever by empowering others, ensuring quality care for all and investing in science to find the cures. Susan G. Komen is the only organization that addresses breast cancer on multiple fronts such as research, community health, global outreach and public policy initiatives in order to make the biggest impact against this disease. 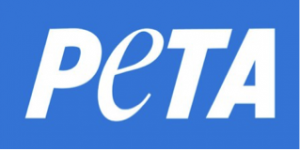 PETA: People for the Ethical Treatment of Animals (PETA) is the largest animal rights organization in the world, with more than 3 million members and supporters. PETA focuses its attention on the four areas in which the largest numbers of animals suffer the most intensely for the longest periods of time: on factory farms, in the clothing trade, in laboratories, and in the entertainment industry. Zoowalk for Autism Research: The Zoowalk for Autism Research is an annual walk held to raise funds for the Autism/Asperger’s Research program at ASU. Each year focuses on different studies focused on treatment and prevention of autism.